We also shot a quick video for this recipe. You can view it below. For more videos, you can subscribe to my You Tube Channel. 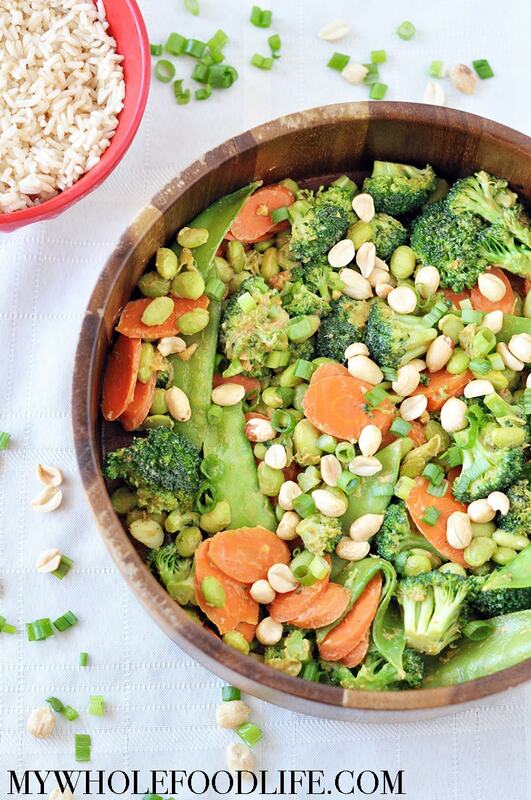 Dinner is not complicated with this Easy Broccoli Stir Fry! Serve on it's own, or with a side of rice. In a large saute pan, add all the stir fry ingredients. Cover and cook on medium heat for 5-7 minutes. Just long to soften the broccoli and carrots slightly. Stir occasionally. As the veggies are cooking, make the peanut sauce. In a small bowl, mix all the peanut sauce ingredients and stir well. Once the veggies have softened, pour the peanut sauce over them and stir well. When you are ready to serve, garnish with the green onions. Enjoy! This should last about 3-4 days in the fridge. I just found your site, and I'm anxious to try a few of your recipes (we're gluten-free and allergic to dairy and egg, so we tend to seek out vegan recipes). However, I would like to mention one thing (and apologies there doesn't appear to be a better place to provide this feedback): the ads on your site are OBNOXIOUS. A sidebar, in-line, below your title, AND a popover at the bottom? I understand ads pay for the site, etc., but that much legitimately makes me want to leave and never come back... and I'm one of the more patient ones :( Fortunately, I can suffer long enough to Yum your recipes, and then I don't have to visit your site to reference them later. I hate to do that, as I'm a blogger as well, and I want to support you. I promise I'm not trying to be mean.. just thought you might like to hear a bit of insight on the user experience. Another great recipe and really easy too! I love the sauce! I added some baked tofu (maybe that's soy overload but I felt like I needed a little more heft) that I added right before the sauce (it was fresh out of the oven so was already hot). Definitely going into my rotation.